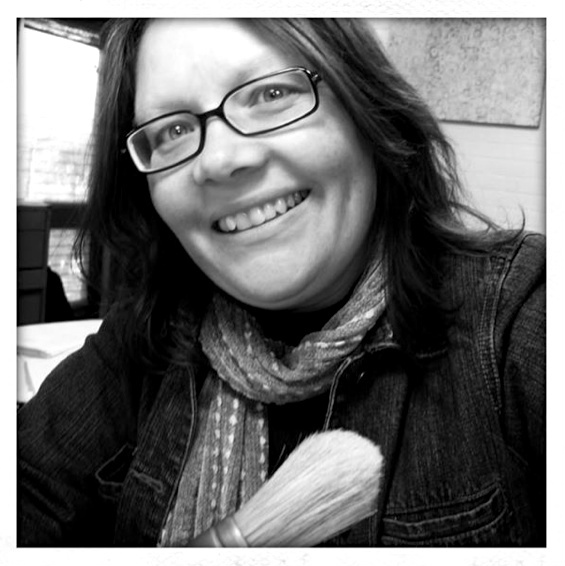 Children's author and illustrator Christina Booth has a prodigious output of work, from her own writing and illustrating to illustrations she creates for other writers' publications. 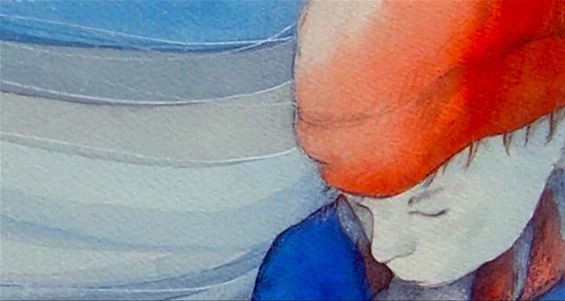 When we here at SWWT first met her in 2007, she had just released her own written and illustrated book Purinina, a devil's tale. Since that time Christina has gone on to illustrate numerous books and is just about to launch yet another story written for children, Welcome Home. Living and growing up on Tasmania's East Coast, at St Helens, Christina took delight in the local library which only opened in the evenings. One of her favourite writers was Colin Thiele (1920-2006), author of the classic Australian children's novel, Storm Boy. How serendipitous it must have been when Christina, her husband and young family were living in Wagga Wagga. Here she had found a small publishing house that by pure chance also published Colin Thiele - and he'd requested Christina illustrate Sun Warm Memories, a children's poetry book based on the author's childhood memories of life in country South Australia. Sun Warm Memories was published by Triple D Books in 2003. Interestingly, the poems are meant to be performed, read aloud. Publisher Triple D Books: Poetry All Sorts, written by Max Fatchen; See What I've Got, poetry written by Bill Scott; Sun Warm Memories, poetry Colin Thiele; Nest Egg, poetry Christobel Mattingley; Celebrate: the End of Year Reciter, various poets. 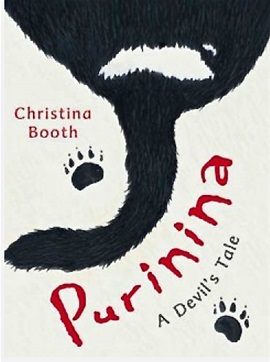 Publisher Lothian Children's Books: Purinina, A Devil's Tale, written and illustrated by Christina Booth. Publisher Windy Hollow Books: In The Deep Green Jungle, written by Angie Lionetto-Civa; In The Deep Blue Sea, written by Angie Lionetto-Civa; No Noise At Our House, Meredith Costain. Publisher the National Museum of Australia Press: The Day I Was History, written by Jackie French. How little did anyone know how prophetic this work telling the story of a baby Tasmanian Devil who becomes an orphan on the death of her mother would prove to be. Purinina is the Tasmanian Aboriginal word for the creature we more commonly know as the Tasmanian Devil. The fearsome noise of this little native is enough to chill the spine of the unknowing who don't realise just how small and shy the devils really are in their natural habitat. The timely writing of the story, when the reality of the plight of the devils in the wild was just beginning to be revealed still holds fast today. The Tasmanian devil, Sarcophilus harrisii's own own story has emerged into one of a calamitous struggle for survival, considering the facial tumour disease that has been ravaging wild stocks for quite some time. Christina's book is an educative tale designed for young children who are beginning to learn about and understand the intricacies and the dramas that can unfold within the environment that surrounds them. 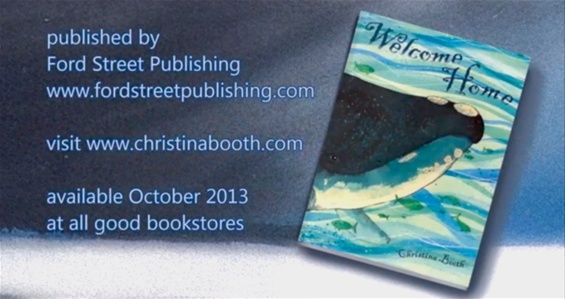 Beautifully written and illustrated by Christina Booth, Welcome Home is the story of young boy, a whale - and hope and forgiveness.